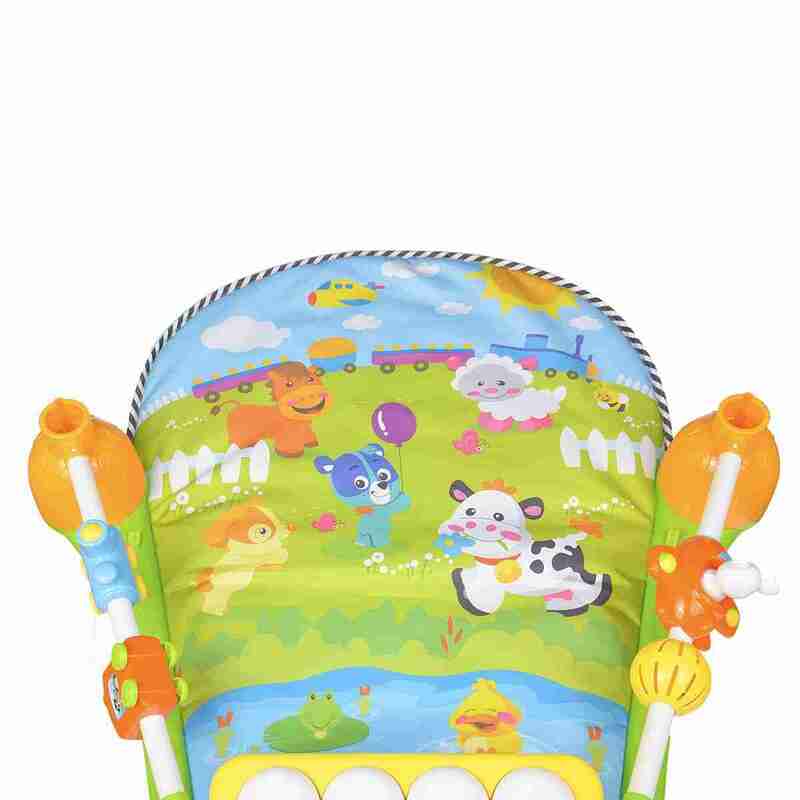 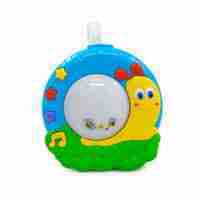 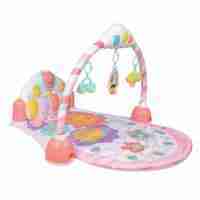 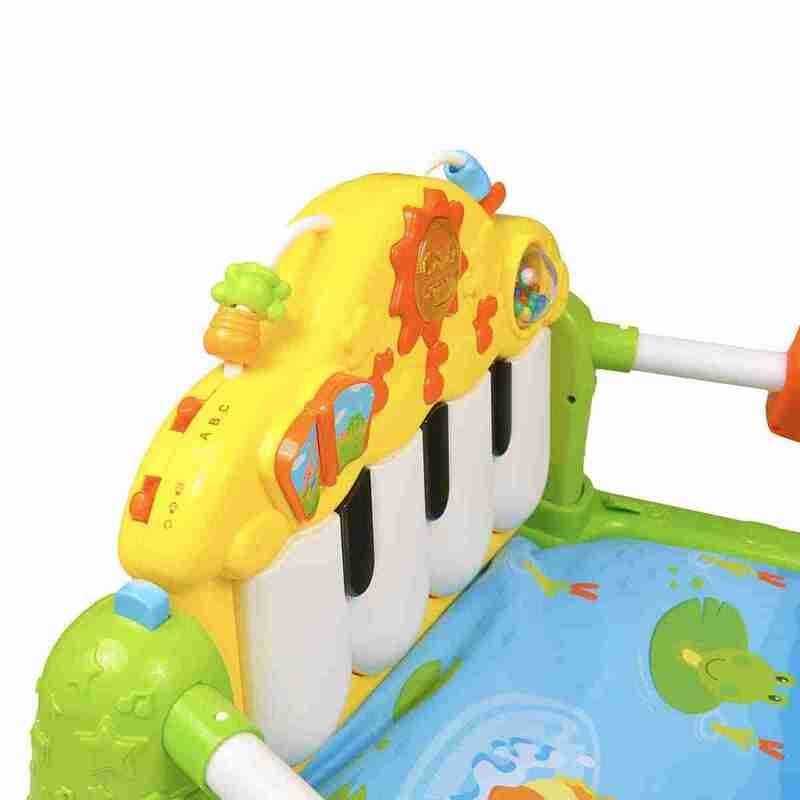 The Mini Me And Friends Kick And Play activity mat features an exciting musical kick piano and a variety of dangling toys and characters to keep your baby entertained and happy. 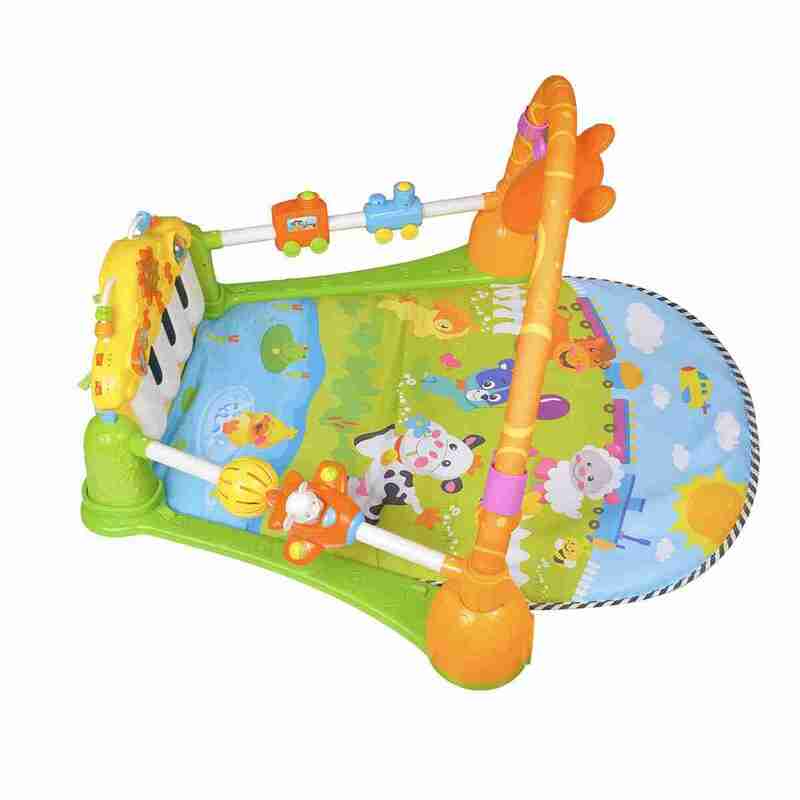 Turnable kick piano perfect for laying down or sit up play! 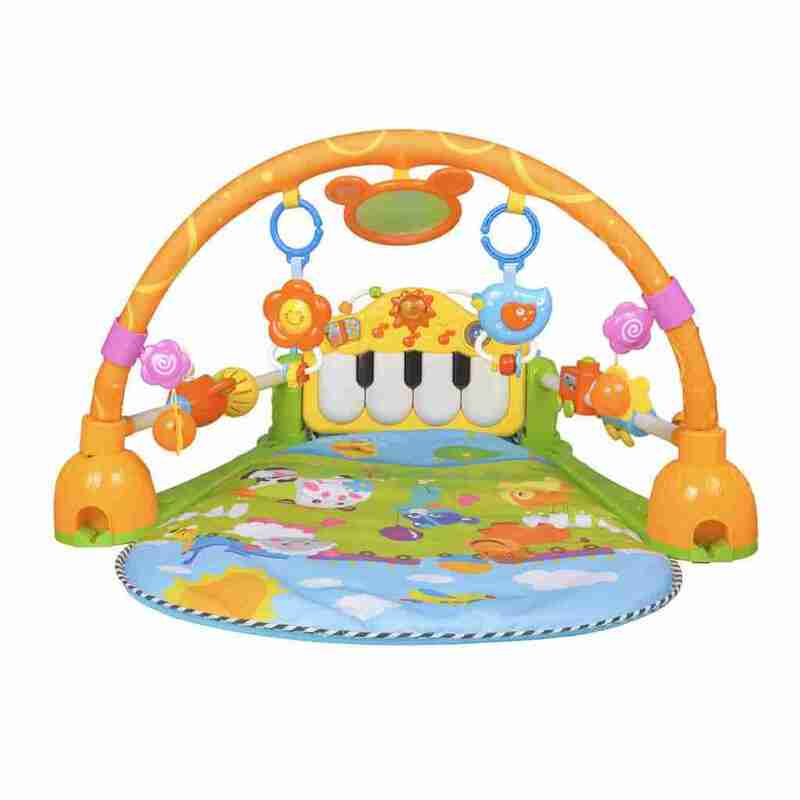 The Mini Me & Friends Kick & Play Activity Mat features a fun and exciting kick piano that adapts with your baby from laying and playing to tummy time to sitting up at the piano! 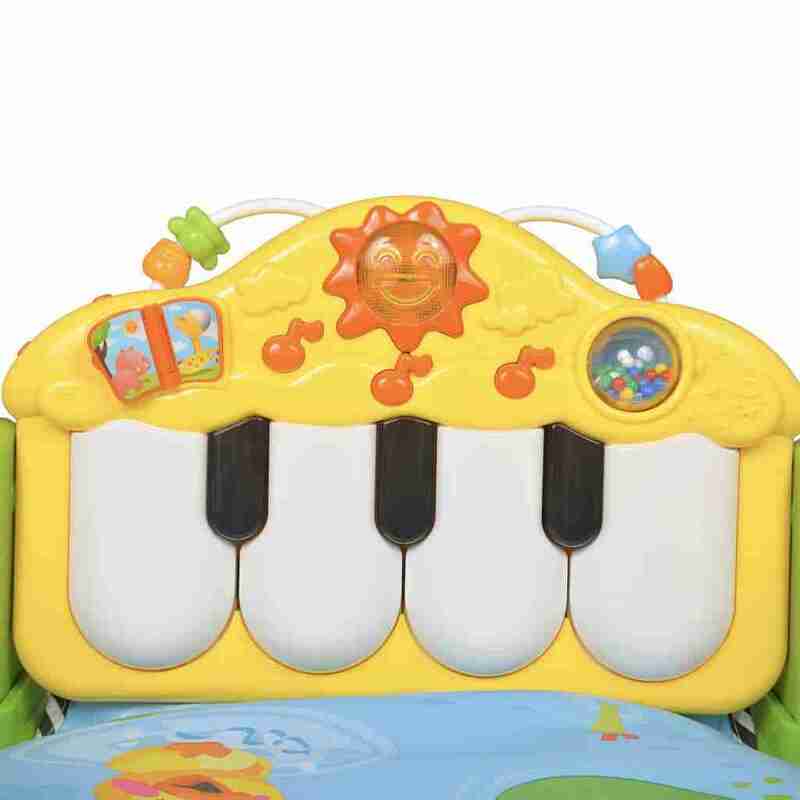 Each note that’s hit encourages your baby to kick and learn more about reactions to movement. 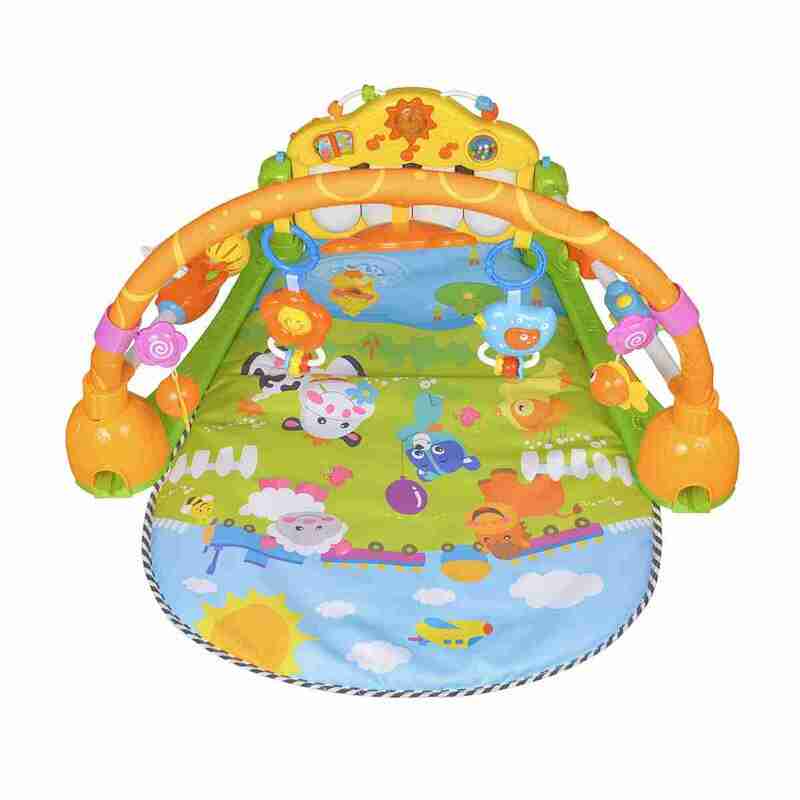 Our 3-in-1 activity mat is covered with farmyard friends that make playtime fun for your little ones. 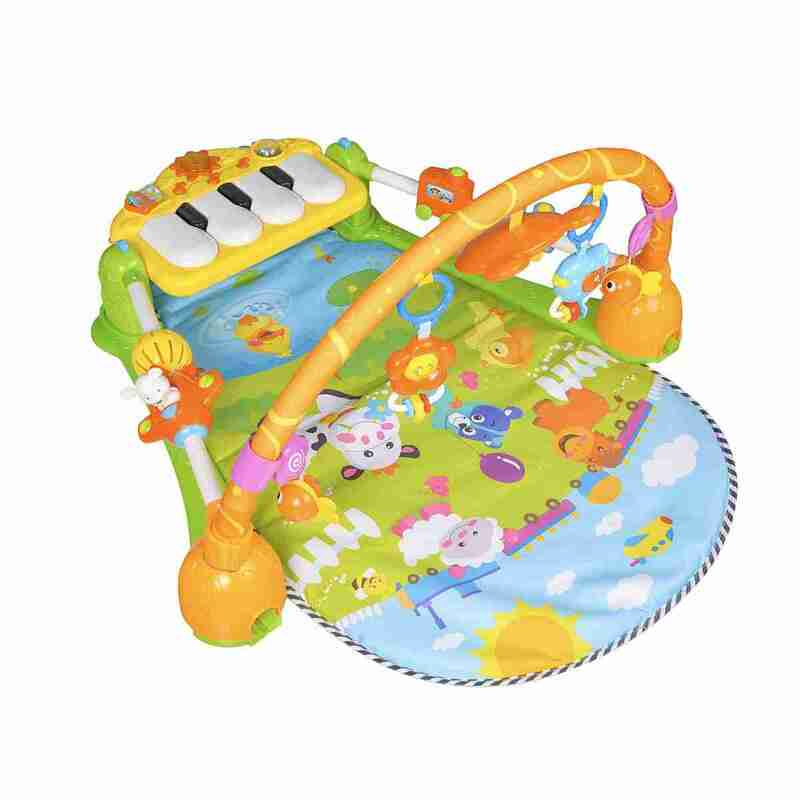 It’s designed with your baby in mind as pops of colour are found on each and every element of the playmat making it a more engaging and comfortable place for your little one to play.